What is Save The City Gardens? Save The City Gardens started with a neighbourhood committee and has since grown into a movement of more than 1,000 people who want to preserve city gardens. Save The City Gardens is supported by both residents and policy makers who care about the quality of life in our city. Thanks to its city gardens, we are creating a unique city. City gardens must remain affordable for all of us and not just be the preserve of richer neighbourhoods. 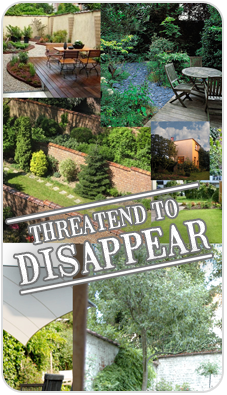 Help us to protect our green inner city gardens! These green lungs protect us from pollution and contribute to maintaining the city’s biodiversity. The cost us nothing, but they are extremely valuable for our health and happiness. Together, we can ensure that our city gardens continue to exist and that they can continue to play their important role for man and nature. City gardens are fragile and are often an afterthought in urban renewal projects. This is why it’s so important to protect them. 1. Clear legislation to protect our remaining city gardens and to ensure that city gardens are not completely built over. City gardens, including those in private ownership, have huge public importance. Administrations, public institutions and schools must set an example with well thought out plans for replanting. 2. A city or commune subsidy that, over the years, will encourage residents to turn their built-up courtyards, garages and workshops green again. Save the City Gardens is an independent movement of residents who care deeply about quality of life. 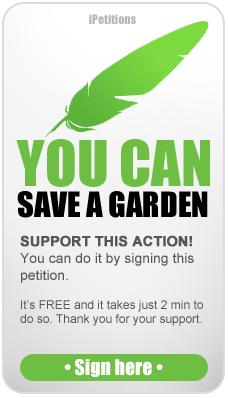 Save the City Gardens has no financial aims and is not allied to any ecological or political party. City gardens must survive, not only in rich neighbourhoods. Every city dweller has the right to a green oasis. Here’s why our city gardens are important. Here’s who we are and what we do. We’ll also tell you what we want to achieve. Here’s how you can help us. Here’s where you’ll find more information about us.